Jermall Charlo: Are Canelo, Golovkin Ready For Me? I'm Ready! Jermall Charlo (26-0, 20 KOs) went above and beyond the call of duty when doing his homework on Jorge Sebastian Heiland ahead of their July 29 matchup in Brooklyn, New York. Not only had he studied his opponent's style, he knew the various gyms Heiland sparred at in Buenos Aires and the exact altitude at which the Argentinean southpaw had trained in preparation for their fight. But even before Charlo easily dominated and stopped Heiland in four rounds of their title eliminator on Showtime, he envisioned the possible scenarios that lay ahead in the aftermath. 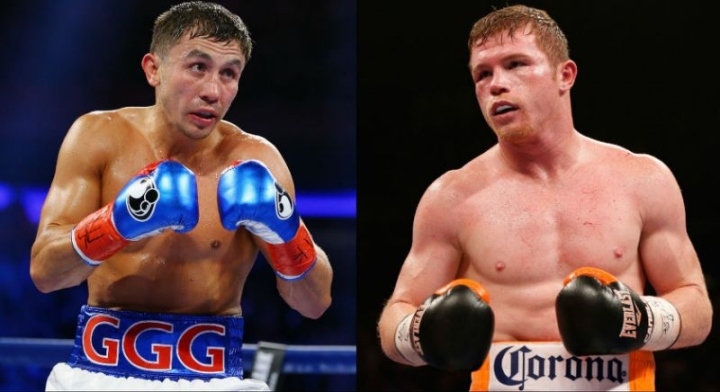 His victory over Heiland made him the mandatory challenger for one of the belts held by Gennady Golovkin, who takes on Saul "Canelo" Alvarez on Sept. 16 for three of the four major middleweight world titles. A lucrative showdown against either superstar looms in the near horizon for Charlo. As to whom he would rather fight, Charlo has no preference. “I hope both of them are going to throw their right hands and knock each other out at the same time,” Charlo said, half jokingly. He has identified chinks in both men's armor that will be further exposed when they collide in Las Vegas next month. “They both do things that benefit me so it’s my choice to exploit those things and that’s what I’m gonna look forward to,” Charlo said. Despite Golovkin's and Alvarez's formidable reputations, Charlo intends to approach the fight with either fighter from the position of favorite rather than underdog, he said, given that he possesses a superior skill set than either of them.